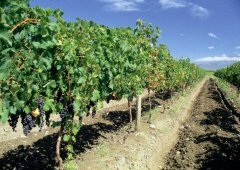 Mendoza, the main wine region, has its areas irrigated by the Mendoza river. The ground is deep and with short slope. Its temperatures are about 25ºC in summer and 7ºC in the coldest month of the year. It produces the best wines of the country. 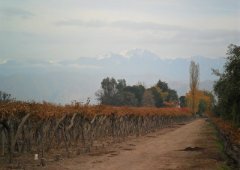 It is the region where most of the best kind of argentinian wines are produced. 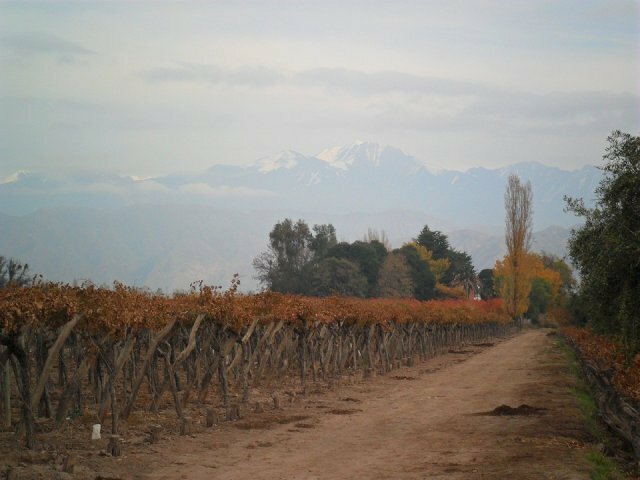 At the feet of Los Andes mountain with an altitude of 650 and 1100 meters above the sea level, irrigated by the Mendoza river, the characteristics of its ground and climate makes it an appropriate place for the most noble varieties of grape. Its climate is warm and dry, with sparse rainfalls, great sunlight, little humidity and mild winds. The water from thaw is used for irrigation (fig. 3). 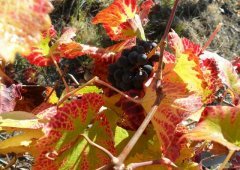 The big changes on temperature (about 15ºC between day and night) is very good for the development of the colors and tannins in the red wines that makes them appropriate for storage in wineries and long aging. 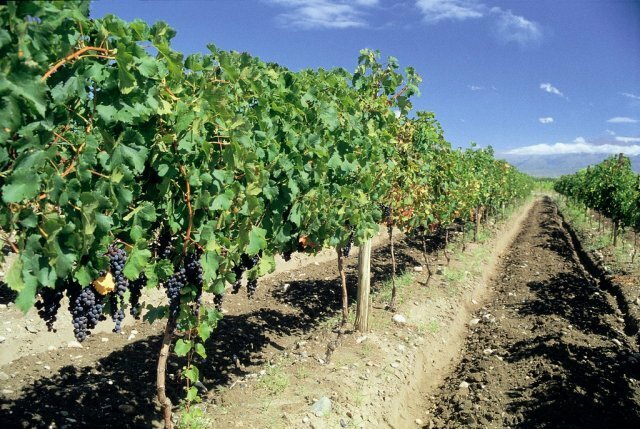 The mineral composition of the ground (a sand layer, clay, poor in organic matter and rich in calcarea materials) keep the grapes from becoming vigorous and this makes them perfect for making high quality wines (fig. 4). 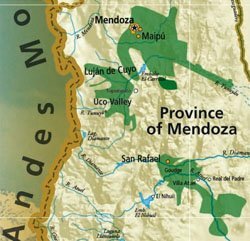 It is the region that produces the largest quantity of wine of the province an the country, with an altitude of 750 meters above the sea level and about 60000 hectares of vineyards (fig. 2). This region is composite by the departments of San Rafael and Gral. Alvear at the feet of Los Andes mountain, next to the patagonic province of Neuquén. 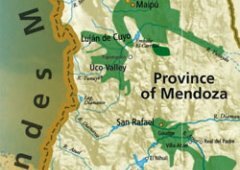 It is a real oasis located in the mendocinian aridity and irrigated by the fast waters of Atuel and Diamante rivers. 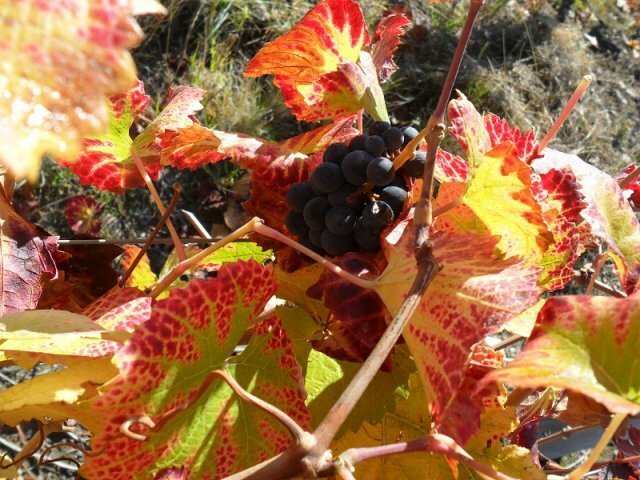 It has an altitude of 800 and 450 meters above the sea level and stony ground with abundant calcareo materials (fig. 5).